Ilfracombe, named after a small town in Devonshire England, originated in 1891 as a transport nucleus for Wellshot Station, the largest sheep station in the world at the time (in terms of stock numbers). The town had three hotels – each with its own dance hall, a soft drink maker, a coach builder, two general stores, a billiard saloon, a dressmaker, three commission agents, a couple of butchers, a baker and a saddler. Today there are just 350 people living in a region which covers 6500 square kilometres. Another record to be claimed by the region is the moving of the largest mob of sheep as a single flock. In 1886 a mob of 43000 sheep were moved through the area by a droving team of 27 horsemen. That doesn’t include the cooks, blacksmiths and hands which would have been needed to accompany the drovers! 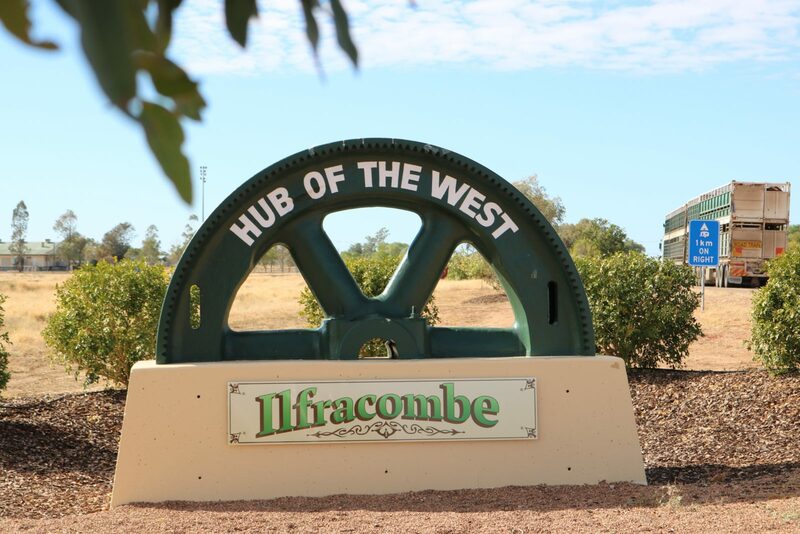 Ilfracombe is a small Queensland Rural Location within the local government area of Longreach, it is located approximately 962kms from the capital Brisbane covering an area of 6580.918 square kilometres. Ilfracombe has a recorded population of 259 residents and is within the Australian Eastern Standard Time zone Australia/Brisbane. If you are planning a visit to Ilfracombe we’ve put together some of the things nearby that you can see or do while you are here. These include, places to stay, tours and attractions, some upcoming events and places where you can grab a meal. Go ahead, try one of the buttons above. Every destination has something worth seeing so start exploring… If you know Ilfracombe and think we’ve missed something, let us know and we’ll share it here.